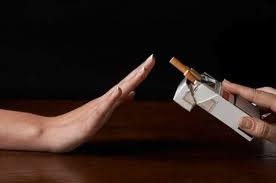 *OFFER* Stop Smoking with Hypnosis Sessions available for £125 instead of £195. Please call or email to book your session now. 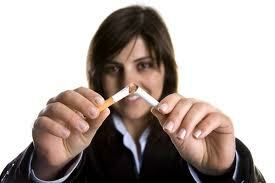 Stop Smoking Quickly and Easily, using Hypnotherapy for Smoking Cessation. At The Leicester Therapy Stop Smoking Clinic we will use hypnotherapy to help you quit smoking fast. Hypnosis has been proven to outperform all other methods to quit, helping you to feel great and look great as a healthy non smoker. If you have tried other ways to give up smoking that just haven’t worked, then call today and join the many hundreds of people who have successfully stopped smoking easily and effortlessly with stop smoking hypnosis Leicester. The majority of our clients stop smoking after just one session. By reading this website you’ve already decided you want to quit smoking and become a non smoker. Attend your private, relaxing, one to one stop smoking session lasting approximately an hour and a half and leave a healthy non smoker. Our advanced hypnotherapy is tailored to your individual needs. I don’t use group sessions or a one size fits all approach, resulting in outstanding levels of success. You Will FEEL GREAT and LOOK GREAT as a Healthy NON-SMOKER. Our Unique Stop Smoking Hypnosis is not only a highly effective method to quit smoking but also easy and effortless. Simply come and relax in my Leicester or Dubai clinic and leave a non smoker. You will feel healthier, fitter and more attractive as a non smoker, as your smoking habit is removed, usually in just 1 easy session. Don’t let smoking control you, sap your energy and ruin your looks and your health. Stop Smoking fast with our hypnosis cessation Hypnotherapy in Leicester. Call me 07731 531 561 now to make your appointment. Please email leicstherapy@gmail.com to register your interest and to make your appointment for Hypnotherapy to Stop Smoking in Leicester. I love the look and feel of your hypnotherapy website! I am always on the look out for fellow hypnosis professionals who are doing things well as I find this inspires me so thanks for the inspiration to evolve my practise! One thing I would mention though is the words “give up smoking” in step 1. Do you think these words makes it sound like there is actually something that might be missed? I must admit I use the words “quit smoking” on my site even though I prefer it to be phrased “stop smoking”. I do this because most people search on line for “quit smoking” rather than “stop smoking”.